Jon Harston was born on July 29, 1948, in Newport News, Virginia. He enlisted in the U.S. Air Force on June 16, 1966, and went on active duty beginning July 19, 1966. After completing basic training at Lackland AFB, Texas, and technical training as an aircraft mechanic at Chanute AFB, Illionis, Amn Harston served as an aircraft mechanic with the 60th Field Maintenance Squadron at Travis AFB, California, from December 1966 to December 1968, followed by service as a helicopter mechanic and helicopter flight engineer with Detachment 14 of the Eastern Aerospace Rescue and Recovery Center at MacDill AFB, Florida, from December 1968 to September 1969. Sgt Harston's next assignment was as a helicopter flight engineer with Detachment 100 of the 38th Aerospace Rescue and Recovery Squadron at Phan Rang AB, South Vietnam, from September 1969 to August 1970, and then with the Aerospace Rescue and Recovery Training Center at Eglin AFB, Florida, from August 1970 to July 1971. 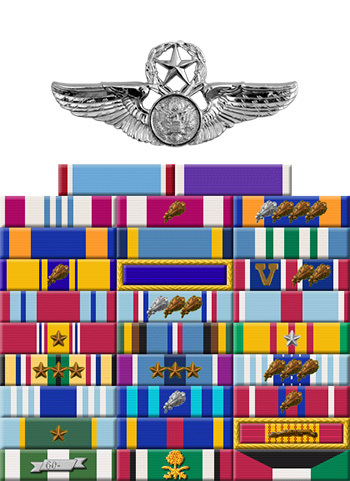 He served as an aerial gunner with the 20th Special Operations Squadron at Cam Ranh Bay, South Vietnam, from July 1971 to July 1972, and then as a flight engineer with Detachment 3 of the 37th Aerospace Rescue and Recovery Squadron and with the 319th Organizational Maintenance Squadron at Grand Forks AFB, North Dakota, from July 1972 to August 1974. Sgt Harston returned to Southeast Asia as a flight engineer with the 21st Special Operations Squadron at Nakhon Phanom Royal Thai AFB, Thailand, from August 1974 to July 1975, and during this time he participated in the Mayaguez Incident in May 1975. His next assignment was as a C-141 Starlifter flight engineer with the 15th Military Airlift Squadron of the 63rd Military Airlift Wing at Norton AFB, California, from August 1975 to March 1980, followed by service as a flight engineer with the 1st Military Airlift Squadron at Andrews AFB, Maryland, from March 1980 to August 1985. CMSgt Harston served as Superintendent of the Aircrew Training Branch, Aircrew Training Squadron, E-3A Component, at Geilenkirchen AB, West Germany, from August 1985 to August 1989, and then as a KC-10 Extender flight engineer and Flight Engineer Resource Manager with the 344th Air Refueling Squadron at Seymour Johnson AFB, North Carolina, from August 1989 until his retirement from the Air Force on August 1, 1992. 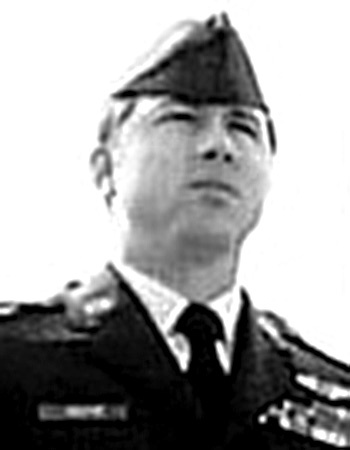 During this time he participated in Operation Desert Shield from August 1990 to January 1991, and Operation Desert Storm from January to February 1991. The President of the United States of America, authorized by Title 10, Section 8742, United States Code, takes pleasure in presenting the Air Force Cross to Staff Sergeant Jon D. Harston for extraordinary heroism in military operations against an opposing armed force as a Helicopter Flight Mechanic on board a CH-53 helicopter of the 21st Special Operations Squadron, Nakhon Phanom Royal Thai Air Base, Thailand, in action on 15 May 1975, at Koh Tang Island, Cambodia. On that date, while engaged in the rescue of the crew and recovery of the S.S. MAYAGUEZ, Staff Sergeant Harston's helicopter encountered extremely heavy hostile fire and crashed at the shoreline of Koh Tang Island. Although wounded in the leg, Sergeant Harston reentered the burning aircraft and led three Marines to safety. As the survivors of the crash swam away from the beach, Sergeant Harston provided covering fire. He returned to the wrecked helicopter again to pull out another wounded Marine. He then kept himself and two wounded Marines afloat with his damaged life preserver until they were rescued by a navy destroyer approximately three hours later. Through his extraordinary heroism and willpower, in the face of the enemy, Staff Sergeant Harston reflected the highest credit upon himself and the United States Air Force.